Mike Trout is on the verge of signing a 12-year, $430-million US contract extension with the Los Angeles Angels, ESPN reported Tuesday. Trout, 27, is a two-time American League Most Valuable Player and was scheduled to become a free agent in 2020. The agreement, per ESPN, tacks on 10 years to the final two seasons remaining on Trout’s $144.5-million agreement with the Angels. The deal would smash the massive contract signed by Bryce Harper — 13 years, $330 million with the Philadelphia Phillies — on March 2. Arizona Diamondbacks pitcher Zack Greinke had the MLB record annual average salary at $34.4 million. Trout would eclipse that mark with $36 million AAV. The 24th pick in the 2009 amateur draft, Trout has made the playoffs only once with the Angels in eight seasons. 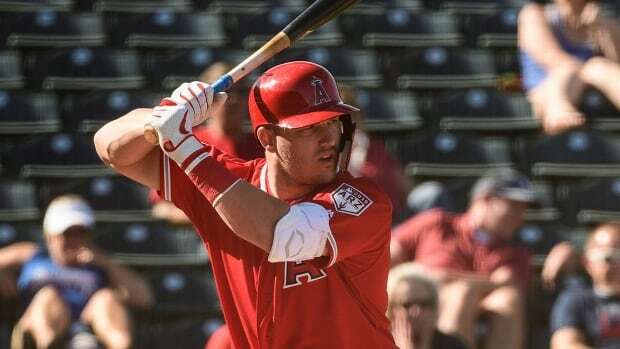 Speculation built that he could bounce to the Phillies when his contract expired — Trout grew up less than an hour away in New Jersey — but the Angels declared their commitment to the superstar. Trout, who has a career .307 batting average with 240 home runs, 648 runs batted in, 793 runs and 189 stolen bases in 1,065 career games, also finished second in the MVP voting four times.